Man in a suit stands on a stage holding a device to change slides during his talk. 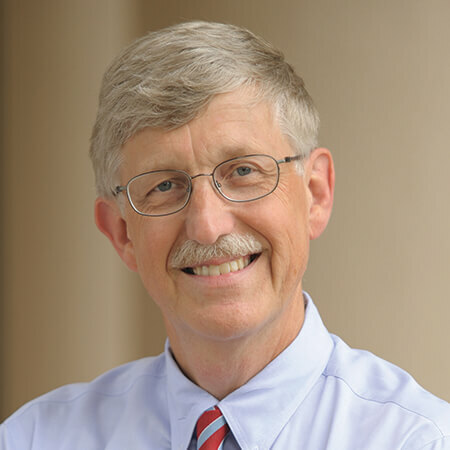 A screen behind him shows a slide with a purple background and states, “Seeking Lux et Veritas in Biomedicine.” The slide has an NIH logo and lists the speaker as Francis S. Collins, M.D., Ph.D., Director, National Institutes of Health. It lists his talk as part of Inspiring Yale and shows a date of April 11, 2018.